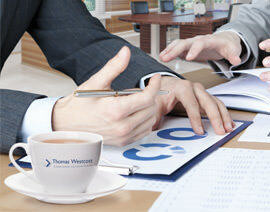 We are a firm of Licenced Insolvency Practitioners based in Devon and the South West. We have offices in Axminster, Barnstaple, Bideford, Crediton, Exeter, Holsworthy, Honiton, Ilfracombe, Okehampton, Plymouth, Seaton, Tiverton and Torquay. Following our recent merger with Butterworth Jones we now have offices in Somerset, these being in Bridgwater, Burnham-on-sea, Langport, Somerton and Weston-Super-Mare. The Business Recovery & Insolvency department is headed up by Jon Mitchell who is a Licenced Insolvency Practitioner regulated by The Institute of Chartered Accountants (England & Wales). Jon has many years of experiencing dealing with a range of businesses and individuals who may be facing financial distress. Jon is often the first port of call for accountants and solicitors who may have clients facing financial distress. We are able to assist you with both Corporate and Personal procedures, including Creditors Voluntary Liquidation, Company Voluntary Arrangements, Administration, Members Voluntary Liquidation, Individual Voluntary Arrangement (IVA), Bankruptcy and Informal Debt Solutions. Our process is designed to deliver clear and balanced advice, taking into account all aspects of Business Recovery and Insolvency for both personal and corporate clients.